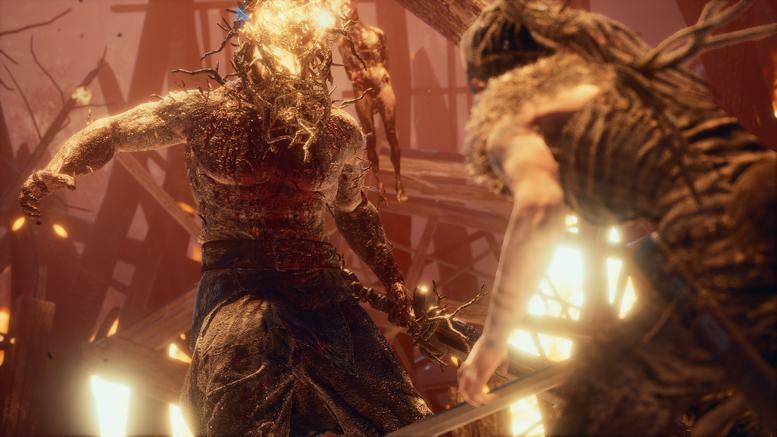 "A indie game with AAA graphics"
Hellblade: Senua's Sacrifice is the latest from Ninja Theory the team behind games like Enslaved: Odyssey to the West and DMC: Devil May Cry. Review within a review if you haven’t played Enslaved do yourself a favor and pick it up. I’m sure you can find it cheap somewhere. 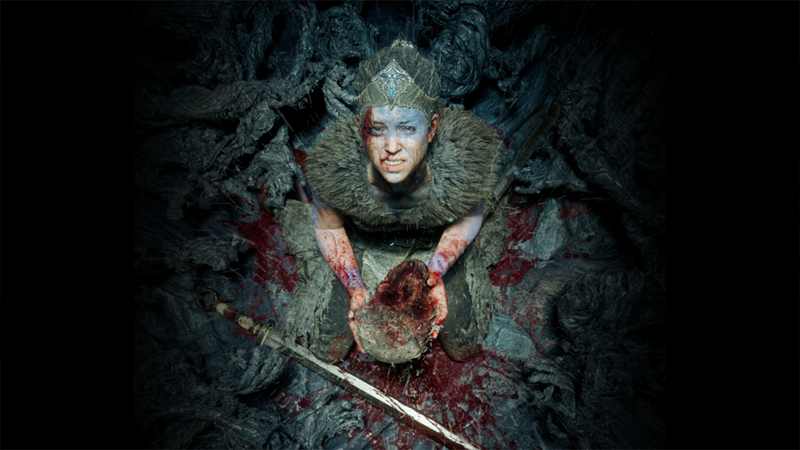 Anyway Hellblade follows the story of Senua as she traverses the land of old Norse legends to reclaim her lover’s soul. There was a lot of hype following this game around the question is, was it warranted? Spoiler: yes, yes it was. Before we start bashing my review hear me out. The story here is well done it was obvious from the first hour all the way to the end of the game the developers put their heart and soul into every aspect of the game, except gameplay. It just becomes repetitive after a while there’s not a wide variety of enemies in the game, 5 to be exact, and of those 5 two are exactly the same except one has more health. There is a guy with an ax, a guy with mace, a guy with mace and shield, a guy with twin blades that can disappear, and finally a big guy with a two handed ax. Since from beginning to end you only earn one more move the combat remains the same and it’s quite an easy combat system to master. Sadly the bosses are very similar to their minion counterparts having maybe one or two different moves that separate them from the pack. Overall the actually gameplay of this game was underwhelming and not challenging in the slightest which is why it dragged this particular score down. The puzzles are another thing that becomes repetitive it is always find the symbol that is hidden in this area but none of them are hard because when you get close the game lets you know you are close it’s just a matter of looking around. The story is where this game excels. I was on board and wanting more from the first cut scene to the final one. The story keeps you wondering what is real and what isn’t even after the game is over. Mainly because Senua has gone off the deep end. Hearing voices in her head, the darkness showing her apparitions of former friends and family, and arguing with the voices in her head are just some of the reasons we see this. The Norse lore really brings this story to life as you fight the likes of Sutur, Fenris (they call him Fenrir but whatever), and Hela. I felt immersed in this world and they really made it come to life. The game needed some tweaks and variety to make this game a 9 or a ten but either way this game really stand out story wise and deserves a play through even by the causal gamer. This is an indie game right? Are we sure? This game is one of the best looking games I have ever played on Xbox. Everything is so detailed down to the face expressions your mother face in the rocks. I was blown away by this game’s visuals and found myself just looking around at what the game had to offer. It’s truly a beautiful landscape and everything here is perfect and I’m confident saying there is no room for improvement. It has to be said that I do not have a 4K TV or an Xbox One X so I can only imagine the quality is even more improved by these devices, but I mean it’s already stunning. Once again the attention to detail here is once again mind blowing for an indie title. The voice acting alone deserves come kind of reward. The fact that I never felt overwhelmed trying to hear what the multiple voices in Senua’s head were saying is an accomplishment in itself. I felt Senua’s pain through these voices, her fear, and her goals. It’s a unique experience to be able to feel and understand what a character is thinking especially one with multiple voices in her head. Well done Ninja Theory, well done. The music fits well wherever you are in the game and sometimes there isn’t any music which is absolute perfection. Knowing when to exclude music is a skill that most developers just don’t have and the people at Ninja Theory have mastered it. The only downfall here is that there was a time or two that the sound did end up lagging and look a second to kick in after a fight had already begun but other than that small detail the game’s sound, voice acting, and music is breathtaking. As stated before this is not a difficult game I had it beaten in about two afternoons. The voices guide you through the combat system by letting you know if someone’s around you or telling you when the opportune time to “focus” presents itself. Focusing is what makes this game so easy. Basically landing hits builds up your ability to focus. The ability itself slows down time so you can really destroy your enemies or in some cases make them be able to be hit. Why this makes it so easy is when you get the ability to use a charge attack it can one shot most minions in focus mode making combating 3 out of the 5 enemies types an absolute breeze. Also I mentioned the “puzzles” before I’m confident a 7 year old could pull these off without the use of the internet it’s just a matter of looking around when the game tells you that you are close to a symbol. There is a part without your sword that gave me some trouble but other than that nothing to hard to be seen here. Not as hard as he looks, and the hardest enemy that isn't a boss. There’s only one achievement which is not story based and that is to collect every rune stone, sorry “LORE STONES” because they have lore, in the game. These lore stones give you some backstory to the game as well as some Norse lore. The game is extremely helpful by letting you know which lore stones are in which chapter but if you miss a lore stone in chapter 10 get ready to play the whole game again….like I did. Use a collectibles guide and you will get all the achievements the first time through. This game is an absolute must play for gamers everywhere. It raises the bar of indie games that were are used to and put itself on the same level of AAA titles we see today. 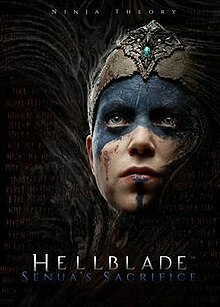 Hellblade: Senua’s Sacrifice has left a little piece of itself in my heart and in my mind and it will be a game that sticks with me and certainly a game I recommend to my friends.